In 2005 Sinéad started planning her re-entry into music after a few years away. She had plans to release a new album after a period of semi-retirement. Riding on this new interest in the press in Sinéad and her music, EMI put together this compilation made up of past recordings done by Sinéad with a variety of artists in a variety of genres of music. 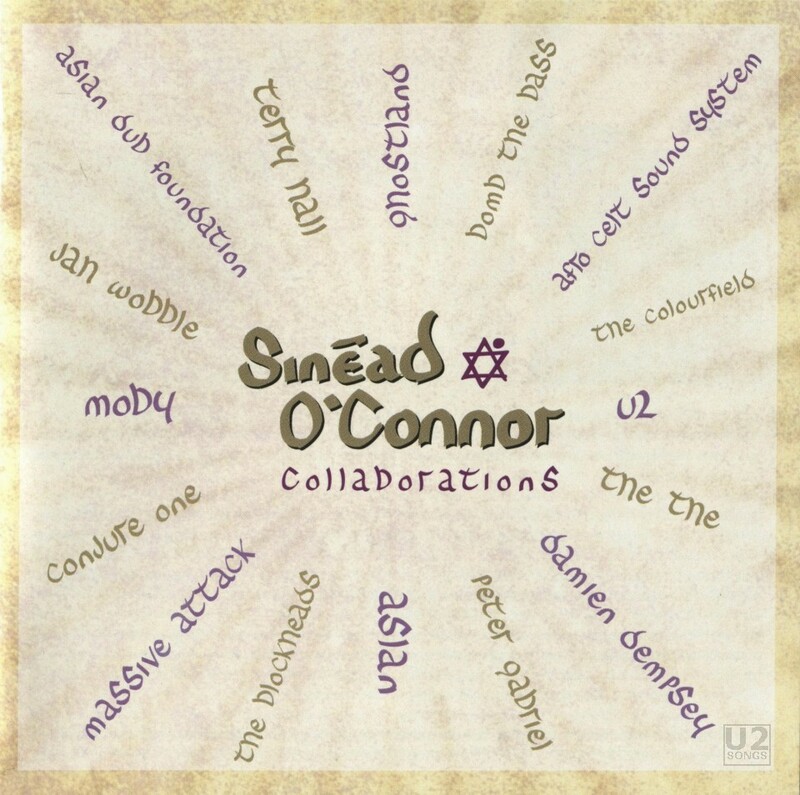 Two tracks are included here showing Sinéad’s work with U2, both taken from soundtracks. In 1986, for one of her earliest recordings, Sinéad O’Connor worked with The Edge on his recording of the soundtrack to the film “Captive”. The song had been released as a single and also featured on the soundtrack album. The version released here is the same as the one found on the soundtrack. Larry Mullen Jr. also joins The Edge on this track, although he is not credited in the liner notes for this release by Sinéad. In 1997, Sinéad would work with all of U2 on the song “I’m Not Your Baby” for inclusion on the soundtrack to Wim Wenders film “The End of Violence”. The song was released on the soundtrack to that film, and an instrumental version, sans Sinéad was released on a U2 single. Heroine: Written by The Edge / Michael Brook / Sinead O’Connor EMI Virgin Music. Produced by the Edge with Micheal Brook. Engineered by Kevin Moloney and Pearse Dunne. Remix by Steve Lillywhite. I’m Not Your Baby: Music by U2. Lyrics by Bono. Produced by Howie B and Flood. Engineered by Mark “Spike” Stent. Assisted by Rob Kirwan. Mixed by Howie B. Assisted by Paul Falcone at the Hit Factory, NY. Vocal Production by Steve Osbourne.